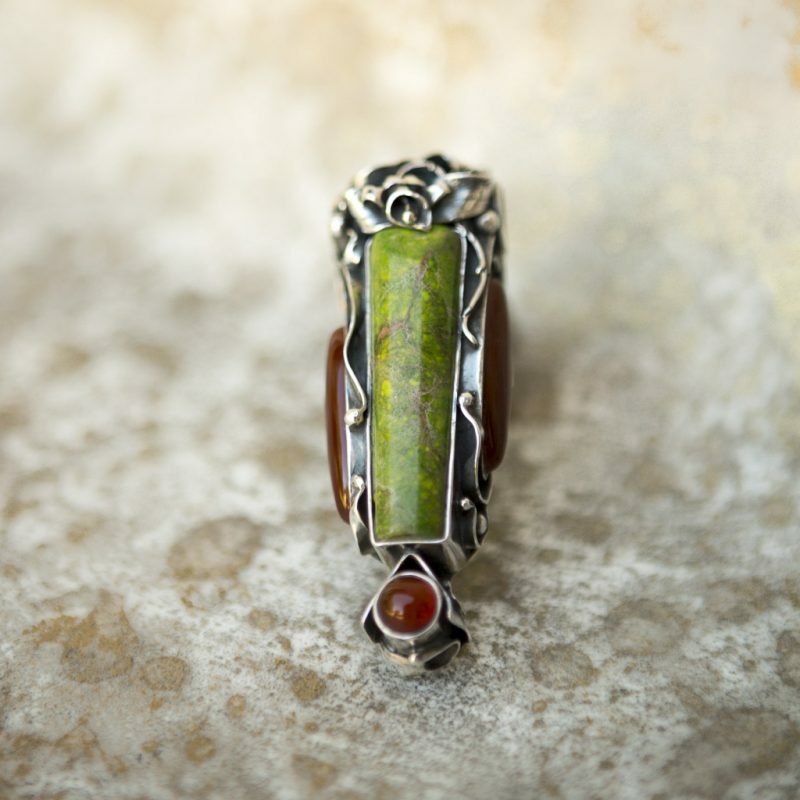 Metaphysically, this stone vibrates at the number 44 (“intuition and inner wisdom”). Calming and de-stressing, Green Jasper links one’s physical and spiritual sides. Green Jasper works with all chakras, but amplifies mostly root and heart; balancing emotional, astral and unconditional bodies. Its energy is both feminine and cooling. Green Watercolor Jasper exists only in Siberia. Physically, this stone helps to recharge the blood and has an anti-hemorrhaging power.